Slice the chicken thighs horizontally to make thinner pieces of meat. Slice each piece of chicken thigh (depends on its thickness) into 2 or 3 horizontal pieces. Set aside. 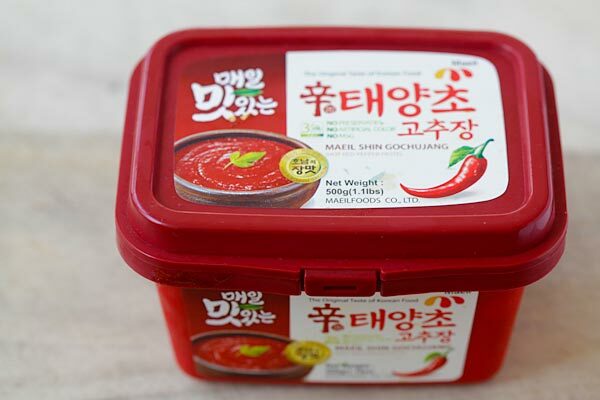 Combine all the ingredients in the Marinade in a bowl, whisk it to make sure the Korean chili paste (gochujang) is completely dissolved. Marinate the chicken for at least 30 minutes or best for two hours. Grill the chicken until slightly charred and completely cooked through. You may also pan-fried the chicken on a skillet or pan, or bake in the oven at 400F for about 20 minutes. Serve immediately with steamed rice.